Too often, the last thing any teacher wants after a day of teaching in the classroom is to attend professional development (PD). But, just like their students, teachers at every grade-level need ongoing education to keep up with educational trends, district initiatives, or curriculum changes. Therefore, the designers of teacher PD must consider how to engage and motivate teachers using a model that is meaningful and effective. One model that has demonstrated its effectiveness in PD is known as the Train the Trainer model. What Is the Train the Trainer Model? "initially training a person or people who, in turn, train other people at their home agency." For example, in a Train the Trainer model, a school or district may determine that question and answer techniques need to be improved. The PD designers would select a teacher, or group of teachers, to receive extensive training in question and answering techniques. This teacher, or group of teachers, would, in turn, train their fellow teachers in effective use of question and answering techniques. 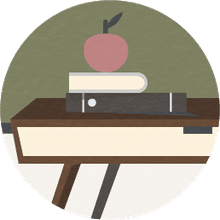 The Train the Trainer model is similar to peer-to-peer instruction, which is widely recognized as an effective strategy for all learners in all subject areas. Selecting teachers to act as trainers for other teachers has many advantages including reducing costs, increasing communication, and improving school culture. One major advantage to the Train the Trainer model is how it can assure fidelity to a particular program or strategy for teaching. Each trainer disseminates prepared materials in exactly the same way. During the PD, the trainer in this model is similar to a clone and will stick to a script without making any changes. This makes the Train the Trainer model for PD ideal for large school districts who need continuity in training order to measure the effectiveness of a curriculum between schools. The use of the Train the Trainer model can also help districts to provide a consistent professional learning process for compliance with mandated local, state, or federal requirements. A trainer in this model may be expected to use the methods and materials provided in the training in their own classrooms and perhaps to model for fellow teachers. A trainer may also provide interdisciplinary or cross-curricular professional development for other content-area teachers. The use of the Train the Trainer model in PD is cost effective. It is less costly to send one teacher or a small team of teachers out for expensive training so that they can return with the knowledge to teach many others. It can also more cost effective to use the trainers as experts who are provided time to revisit teacher classrooms to measure the effectiveness of the training or to model the training throughout the school year. The Train the Trainer model can shorten the timetable for new initiatives. Instead of the lengthy process of training of one teacher at a time, a team can be trained at once. Once the team is ready, the coordinated PD sessions can be offered for teachers simultaneously and initiatives put in place in a timely manner. Finally, teachers are more likely to seek advice from other teachers than from an outside specialist. Using teachers who are already familiar with the school culture and the school setting is an advantage, especially during presentations. Most teachers know each other, personally or by reputation within a school or district. The development of teachers as trainers within a school or district can set up new pathways of communication or networking. Training teachers as experts can also increase leadership capacity in a school or district. Other studies have shown the effectiveness of the train the trainer model including: (2012) food safety initiative and (2014) science literacy, as well as for social issues as seen in the Report on Bullying Prevention and Intervention Professional Development by the Massachusetts Department of Elementary and Secondary Education (2010). One drawback to the Train the Trainer model is that the PD is usually scripted in order to serve a specific purpose or to address a specific need. In larger districts, however, the needs of a school, classroom or teacher may differ and the PD delivered according to a script may not be as relevant. The Train the Trainer model is not flexible and may not include opportunities for differentiation unless the trainers are provided materials that can be tailored for a school or classroom. The selection of a teacher is the most critical part in developing the train the trainer model. The teacher selected as a trainer must be well-respected and able to lead teacher discussions as well as listen to his or her peers. The teacher selected should be prepared to help teachers to link the training to instruction and to demonstrate how to measure success. The teacher selected must be able to share results (data) on student growth that is based on training. Most important, the teacher selected must be reflective, be able to accept teacher feedback, and above all, maintain a positive attitude. 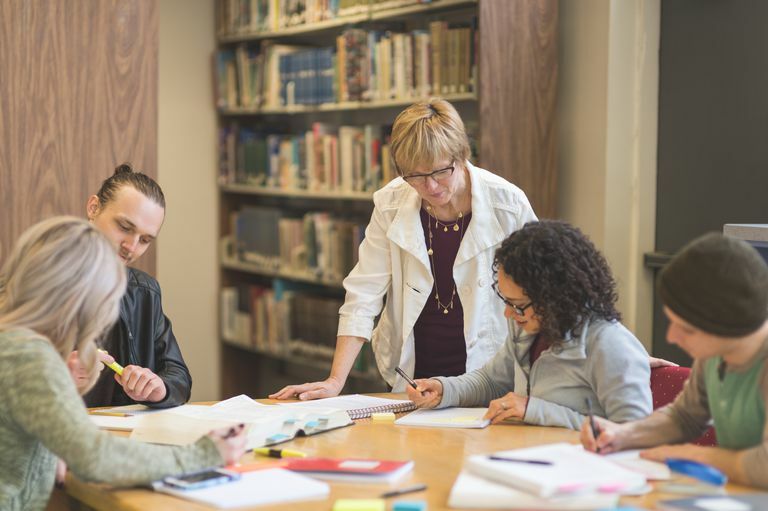 Before implementing the Train the Trainer model, the designers of professional development in any school district should consider the four principles that American educator Malcolm Knowles theorized about adult education or andragogy. Andragogy refers to “man led” rather than pedagogy which uses “ped” meaning “child” at its root. Knowles proposed (1980) principles he believed were critical for adult learning. "Adult learners have a need to be self-directing." This means instruction is effective when teachers have been involved in the planning and in the evaluation of their professional development. Train the trainer models are effective when they respond to teacher needs or requests. "Readiness for learning increases when there is a specific need to know." This means that teachers learn best, like their students, when the professional development is central to their performance. "Life’s reservoir of experience is a primary learning resource; the life experiences of others add enrichment to the learning process." This means that what teachers experience, including their mistakes, is critical because teachers attach more meaning to experience rather than knowledge that they acquire passively. "Adult learners have an inherent need for immediacy of application." A teacher’s interest in learning is increased when professional development has immediate relevance and impact to teacher’s job or personal life. Trainers should know that Knowles also suggested that adult learning is more successful when it is problem-centered rather than content-oriented. Be respectful of fellow teachers. Show enthusiasm about the training topic. Be clear and direct in order to avoid miscommunication. Ask questions in order to receive feedback. Use “Wait Time” to encourage questions and allow time to think about an answer or response. Teachers understand firsthand how mind-numbing an afternoon of PD could be, so using teachers in the Train the Trainer model has the benefit of adding elements of camaraderie, appreciation, or empathy to professional development. Trainers will work hard to meet the challenge of keeping their peers engaged while teachers who are learning may be more motivated to listen to their peers rather than a consultant out of the district. Ultimately, using the Train the Trainer model may mean highly effective and less boring professional development simply because it is peer-led professional development. What Are Some Shakespeare Lesson Plans for Teachers?